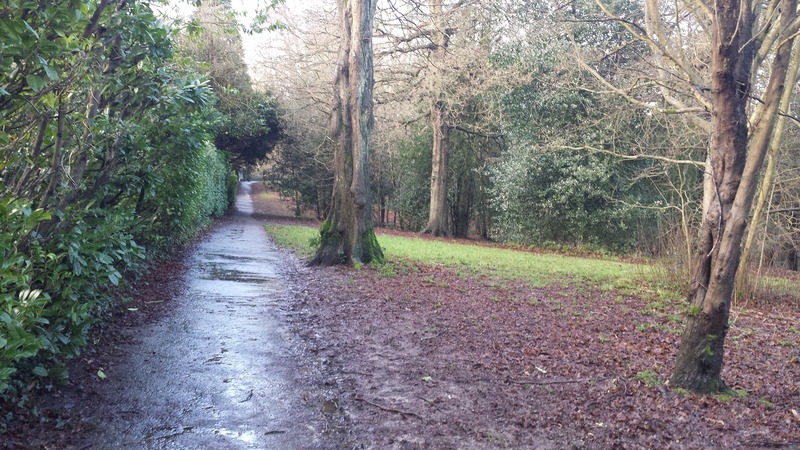 The official name of the park that hosts Clair parkrun is 'Haywards Heath Recreation Ground'. 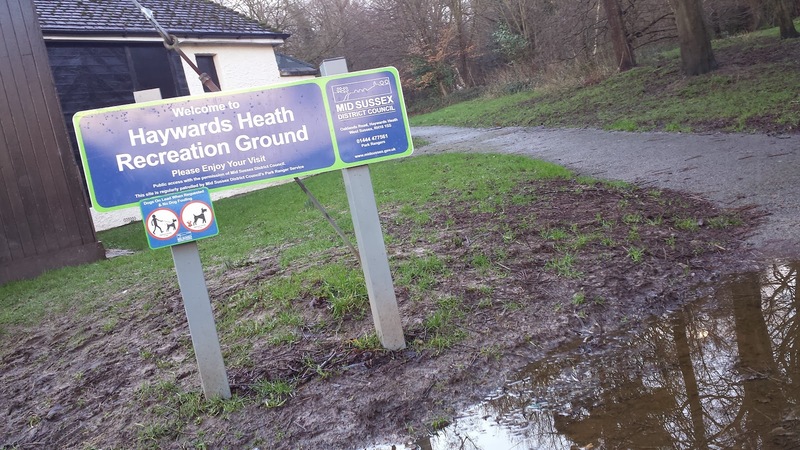 However, it is known to the locals as either 'The Heath' or 'Clair Meadow' or 'Clair Park'. The space was originally part of the heath that gave the town its name. Sadly, over the years, developments have gradually taken more and more of the heath away and only this small patch of land has been left untouched. To avoid losing the last remaining part of the heath, the whole park has been designated a conservation area. Haywards Heath train station is the on the main line between London and Brighton, which makes it a very popular commuter town, and is responsible for much the town's growth and prosperity. For those travelling by train, the station is conveniently situated about 3 minutes walk away from the park. If driving, you can park for free in Clair Hall's car park (that's not a person by the way, it's a hall that hosts performances, exhibitions etc). If this is full (and it does seem to be popular - it's not just parkrunners that use it), other parking options will involve paying or being extremely lucky to find some on road parking nearby, so bring a bit of spare change just incase. I didn't see any bicycle racks but there are fences etc that could be used to secure a bike. The park consists of an open cricket pitch area with a tiered section to one side for spectators - it is home to the local cricket club. Also in the park are the cricket club's pavilion, a playground and the rest is woodland. The park isn't that big, which means it is a multiple lap course, and this park requires four-and-a-half of them in order to complete the full five kilometres. It is the second largest amount of laps I have run at a parkrun, with only Highbury Fields parkrun, which clocks in at five-and-a-bit-laps, requiring more. The toilets are in Clair Hall, which is just next to the park. 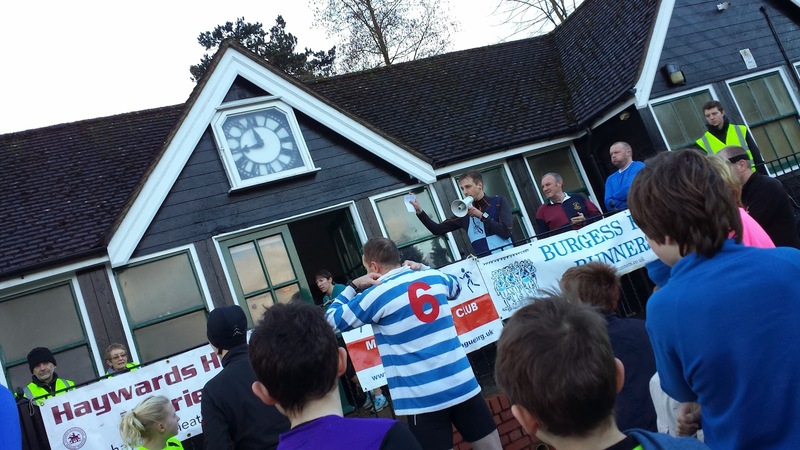 The running clubs that are most frequently represented here are Burgess Hill Runners and Haywards Heath Harriers - Daley Thompson is a former member of the latter. 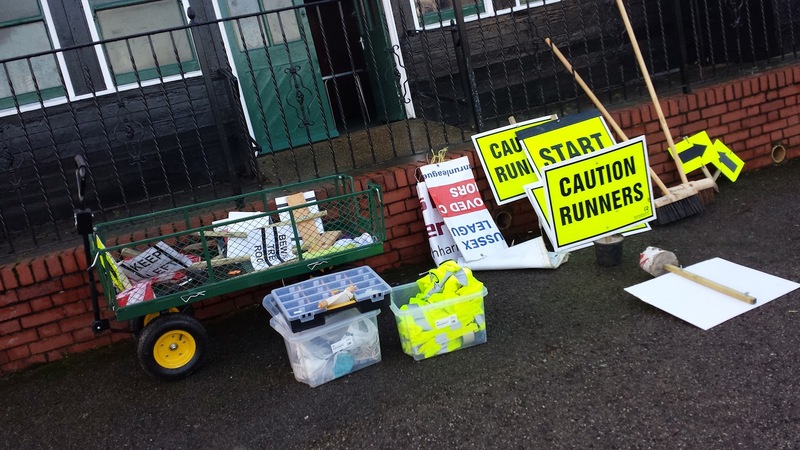 As 9am approaches, the runners and volunteers assemble at the cricket pavilion, which is adjacent to the cricket field. The event director, Neil, held the run briefing outside the pavilion and the runners then moved along the path to the start line outside the playground - which looks pretty good but was sadly too wet for my daughter to play on when we visited. From the start you head along to the perimeter path, turn right and follow it uphill. On the right is the ancient woodland and to the left are trees and bushes which form the border between the park and the adjacent housing. Once at the top you swing round the corner and head down the fast downhill section - it's slightly bumpy along here so you have to watch your footing. As you reach the bottom of the hill you pass what will soon become the finish line and run a loop of the cricket field, the first half of which is flat. After disappearing behind some trees and turning to run along the northern edge of the park, you'll be at the lowest point of the course. 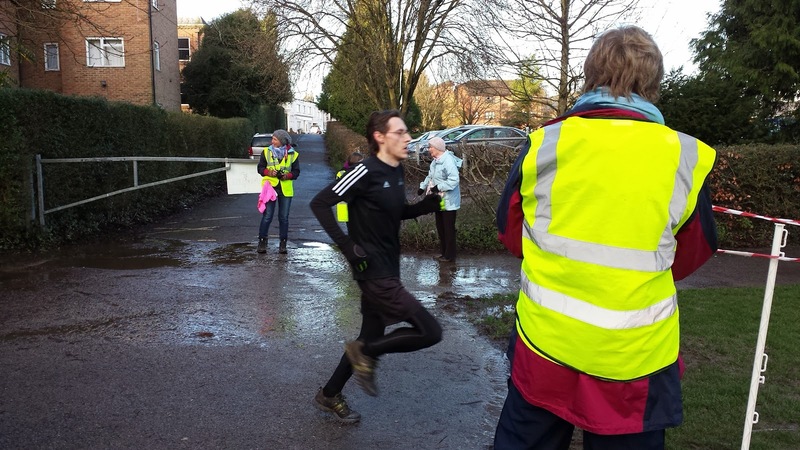 I visited during the very wet winter in February 2014 and, before the run, volunteers had been trying to clear a small flooded section on this part of the course. Sadly their efforts were in vain and the runners had to go straight through or try to dance around the edge. You can see me splashing though it at 1.10 in this video that has been posted on their facebook page. It was a faster and safer option. Around the next corner, you'll find an amusing 'don't panic, it's only a hill' sign. This is where the first part of the incline starts. It's steep here but doesn't last for too long. 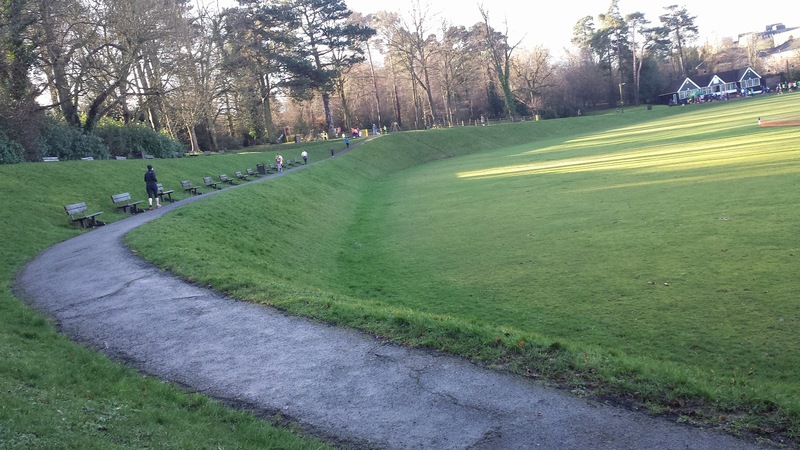 As the path flattens out, you be running along the lower tier (see photos) on the east side of the cricket field. Another very short sharp incline and a left hand turn bring you back to the playground where you can continue the ascent for your next lap. Once you've done this four times, you finish off by running the first half (up the hill, then down the hill) of the lap one final time and as you come down the hill for the fifth and final time, you'll leave the loop and fly right across the finish line, which is on the grass. 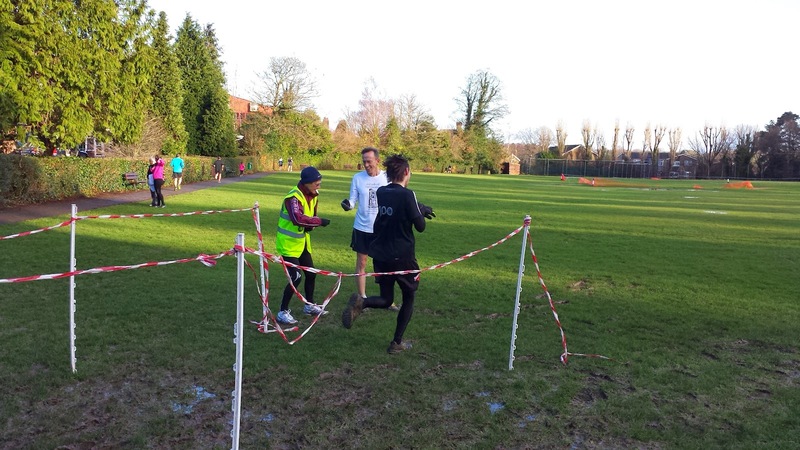 On the day I visited the grass was a bit boggy and I had picked up so much speed that I couldn't slow down in time to collect my finish token. Fortunately I was able to retrieve it a few seconds later when I realised that my hand seemed emptier than it should have been. After the run, the runners and volunteers have a gathering at the pavilion, which also serves hot drinks and the usual treats. I'm sure the four-and-a-half climbs dominate much of the conversation post run, but this week 'that puddle' probably had a good share of air time too. Did you go through it or dance around it? For the record, I wore my trail shoes but this was only because I needed my road shoes the next day and had to keep them dry. On a normal day road shoes are the way to go. Also, from a terrain point of view, buggy running would be hard work but still possible here. 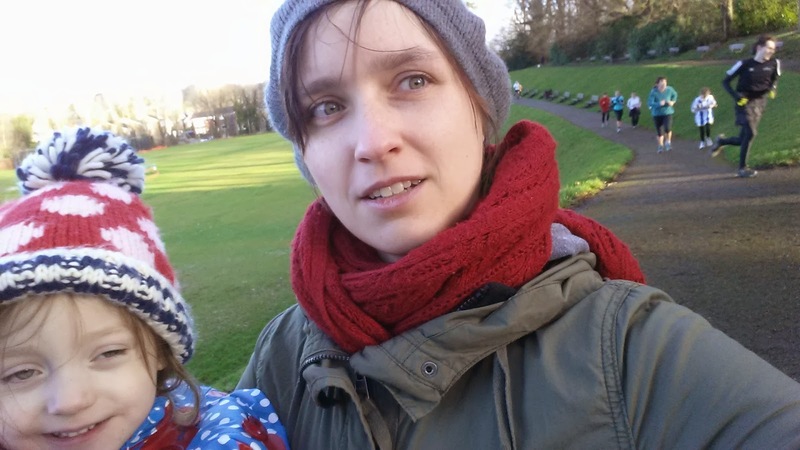 However the narrow paths and the mingling of different paced runners would make it tricky and you could quite quickly become public enemy no.1 if you start clipping people's ankles or blocking the path - for these reasons I specifically chose not to use the running buggy here. 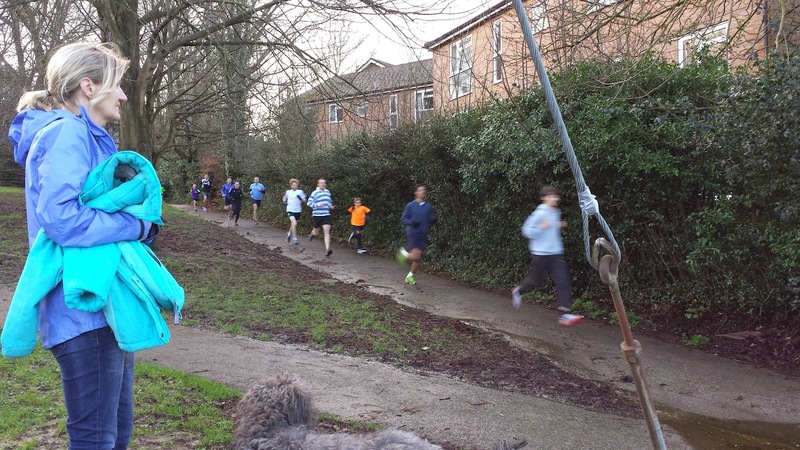 The paths are quite narrow - The organisers have recently had to ban runners from running with their dogs because there is not enough space to accommodate them, the runners and other members of the public safely. Also, as it is 4.5 laps, it doesn't take long for the leaders to start lapping the back-of-the-pack, in fact anyone that runs in over 23 minutes is likely to be lapped. Keep to the left and allow the faster runners to pass on the right. There are a lot of little dogs being walked here. The first one I encountered was during my warm up lap and it growled aggressively and ran towards me. It was then I noticed that it was wearing a muzzle and everything made sense (it clearly has a history). The owner seemed to find my startled reaction amusing and didn't do a single thing to calm the dog - nice. Then during the run I almost collided and tripped over a number of other dogs that seemed intent on just wandering into my path on multiple occasions. Anyway, we managed to co-exist just fine, but just keep it in mind if you are visiting. 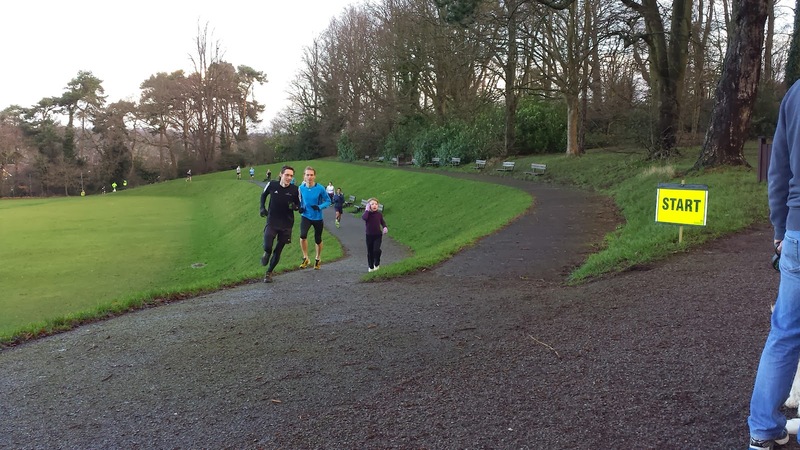 If you think that running a four-and-a-half lap course sounds like it could make for a dull run, then think again. 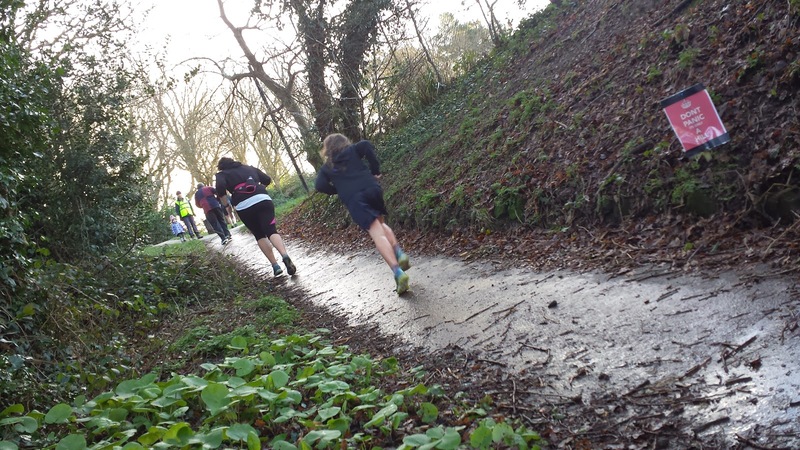 The hill, the constant interaction with other runners (aka overtaking or being overtaken), the incidents with wandering dogs, and the flood (not a permanent feature, I'm afraid) all came together to make this a really enjoyable little run. If I was in the area on a Saturday I wouldn't hesitate to go back. You'll also find a really welcoming and friendly atmosphere here. If it's not on your list, add it.